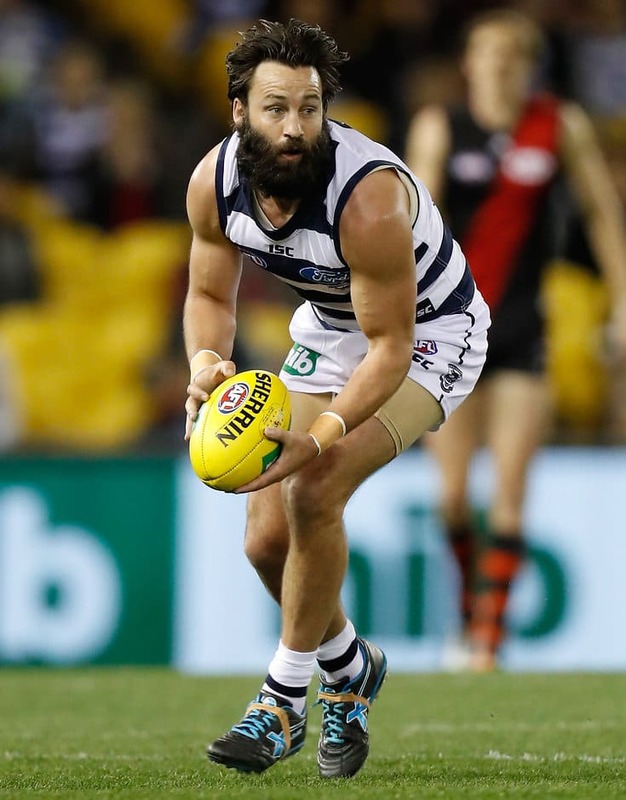 JIMMY Bartel will be rested for the second time in a little more than a month as he makes way for fellow veteran Andrew Mackie for Sunday's clash against the Brisbane Lions at the Gabba. Mackie was "managed" for last week's game against Richmond, while the Cats decided to give Bartel the week off when they played Fremantle at Domain Stadium in round 17. Geelong also withdrew Josh Caddy on Friday afternoon with George Horlin-Smith and Jordan Murdoch coming into the 25. Cats coach Chris Scott said the club would continue to explore the option of managing players, in particular the older ones, in the lead up to the finals. "We'll bring Mackie back and we've decided we'll manage Jimmy Bartel for this week, as we did for the trip to Perth," Scott said. "We just think that's prudent management. We're really confident that will benefit Andrew Mackie this week and we've got the same confidence with Jimmy." The Cats have taken a similarly cautious view with dynamic forwards Daniel Menzel and Nakia Cockatoo, who will both miss another week and not fly to Brisbane. Menzel has been battling a groin complaint he hurt against Essendon in round 19, while Cockatoo also missed last week's clash against Richmond because of a sore knee. Menzel did not train with the main group on Friday morning and instead spent most of the session running laps and sprints down the outer side boundary. "Dan's a heavily managed player and someone we need to be cautious with," Scott said. "To be frank he could come up and play this week, we could push him through, but we just don't think that's the right thing to do at this stage of the year. "Our ambition is to get him in the best shape for the finals. "Playing next week's an important part of that, but if he doesn’t play it doesn’t preclude him from being in good shape." In his second season, Cockatoo has played 10 games due to a previous issue with his knee earlier in the season but shapes as one of the Cats' weapons in September due to the pressure he applies to the opposition. "We won't play him this week but he is a young player who we are cautious with, albeit for different reasons to Dan," Scott said. "He's an important part of our team so again the expectation is that he plays next week. The ins are easy, the outs are a bit harder."